Dr. Glenn purchased an AM2315 temperature/humidity sensor and attempted to connect it to a Pi. He was trying to determine if the AM2315 humidity sensor was accurate enough to use in his research studies. The motivations for this, of course, was funding. 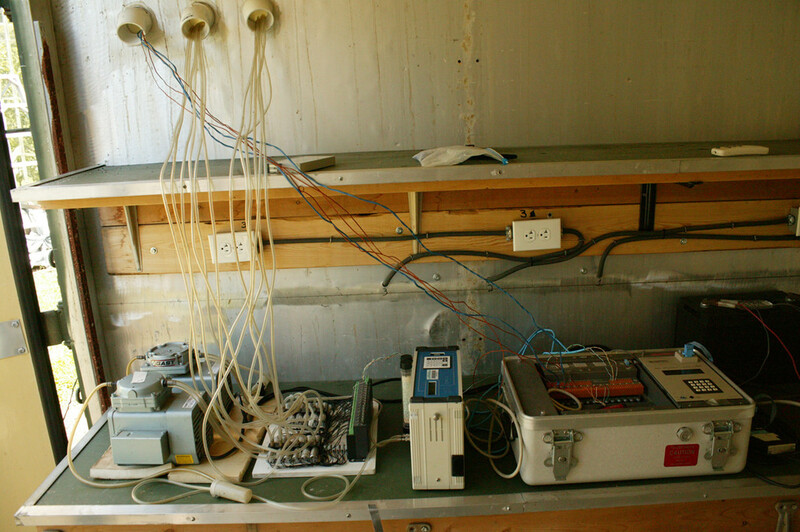 The traditional temperature/humidity sensors used in scientific research are quite expensive. Many cost hundreds of dollars each. Some cost more than $1,000 US. Dr. Glenn figured he could put in the field a whole lot of Pi/AM2315 combos for a lot less money. He emailed Ol’ Sopwith asking for some help getting his AM2315 working. Needing very little guidance, Dr. Glenn got his sensors up and running and determined the AM2315 was accurate enough for his research project. It was a very humbling experience to be able to assist, even in a small way, with a USDA research project . Last month, Dr. Glenn emailed me again advising me his project was a success and the Pi/AM2315 sensor combo worked great. 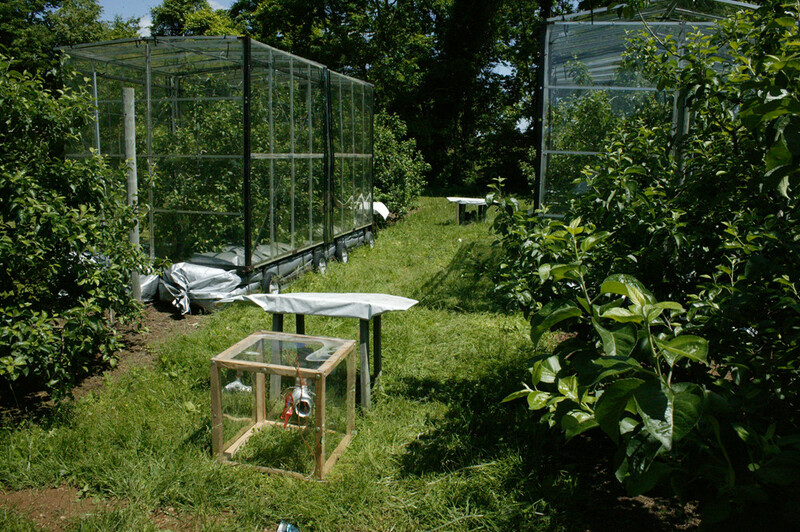 These sensors were used in field studies to measure the carbon budget of an apple orchard. In combination with other instruments, the amount of carbon assimilated by the apple trees and grass roadways during the day via photosynthesis and how much is respired at night. Dr. Glenn told me, “In the absence of light, plants are just like people – they respire carbon dioxide as they burn the energy they store from photosynthesis.” Ahem – whatever you say Doc. In all seriousness, this is really cool research – powered by Pi and Python. Dr. Glenn is also collaborating with a NASA DEVELOP team in a related project to develop estimates of how climate change may affect the apple growing regions in the US. Using climate prediction models developed for the United Nations’ International Panel on Climate Change and NASA generated data, his team developed maps of predicted growing season mean temperatures and winter hardiness zones 30 and 60 years into the future. After reviewing these documents, a couple of things became very clear to me. First, Dr. Glenn and the team of brilliant researchers do stuff that a simple guy like Sopwith will never understand. I do know that somewhere in his scientific methodology of carbon modeling and the effects on climate, Raspberry Pi’s are collecting temperature and humidity data. How cool is that? Second, NASA’s Applied Sciences Program named DEVELOP has many varied and incredibly interesting projects they fund and manage. To me the most fascinating thing is the emphasis NASA places on mentoring young people. Be sure to click on the DEVELOP link above and explore the NASA web site. This experience with Dr. Glenn shows volunteering your hacking skills can have a real impact on important things. Yes – something so fun can be really useful. The Raspberry Pi was created with the specific goal of designing a real and affordable computer for primary aged kids with the intent of capturing their interest in computer technology and the sciences. NASA awaits the next generation of scientists who will look back on their early lives and say it all started with the Pi they gave me in primary school. Share Dr. Glenn’s story with a kid. This entry was posted in Education, General, Raspberry Pi by Sopwith. Bookmark the permalink.